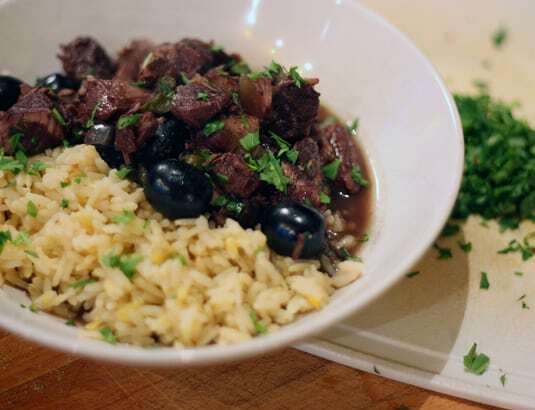 The first dish I cooked from Nigella Express wasn’t fitting for this time of year, really, but I was drawn to the bold flavors of the lamb, garlic, black olives and caramelized onions blended together. The Lamb, Olive & Caramelized Onion Tagine, appearing in the “Quick Quick Slow” chapter, indeed takes a bit of time to cook but as with most mijotés, it’s even better made in advance and reheated: it allows the flavors to fully develop and to blend together. The dish is very quick to put together so simply plan on making your tagine over the weekend and portion it for a lightning-fast-to-prepare dinner later on in the week. To make up for the rather autumnal main dish, I chose a very bright dessert: a Blackberry Crisp. I cheated a bit, however, mixing seasonal cherries with the berries. Crisps are very basic desserts but I liked Nigella’s nutty and crunchy topping blending sliced almonds and sunflower seeds. Once again, it’s a no-frills dish, easy to make but so deep in flavor. If you’re scared of having to pit all those cherries (and don’t have a cherry pitter cluttering your utensils drawer), no worries. 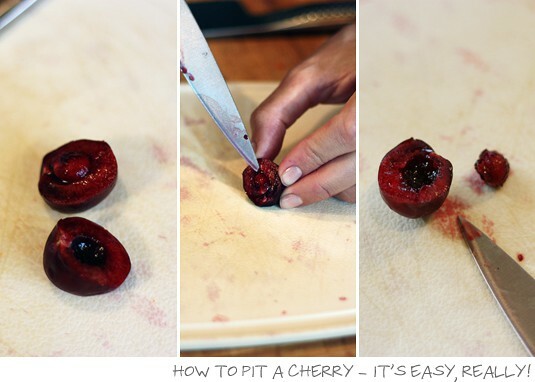 I’ll show you below how easy it is – it probably took me the whole of five minutes to pit all the cherries needed in the dish. Many stews start with chopped onions. Although you could caramelize your own, this recipe offers the shortcut to use jarred caramelized onions. 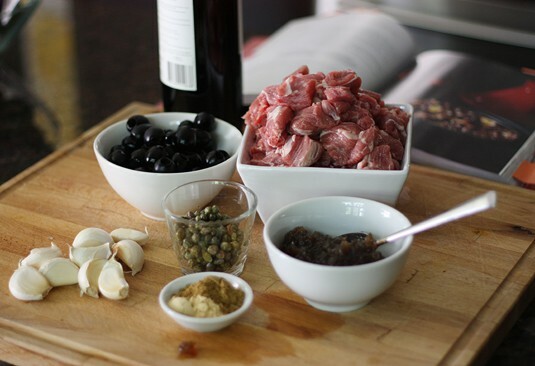 The sweetness of an onion confit balances the acidity of the olives and capers and marries really well with the lamb. I used a Roasted Garlic Onion Jam from Stonewall Kitchen, which further enhanced the garlic flavor of the dish. I’m used to start stews by searing the meat before adding liquid, so I was a bit dubious that this recipe was simply combining everything from the get go. Guess what, it turned out beautifully tender and flavorful anyhow. 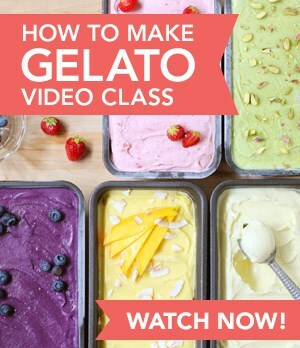 Don’t hesitate to skip it too and save time! The dish isn’t cooked in a tagine, which makes it more accessible and simpler. Call it a faux-tagine if you wish, but if you do own one, why not fake it and serve your stew in it? The sauce is more like a broth so a perfect accompaniment is a couscous or rice that will soap up all of this delicious juice. Put all of the ingredients in a casserole or heavy-bottomed pan, pouring in the wine last and giving everything a good stir. Bring the stew to a boil, then put the lid on and put into the oven for 2 hours or until the lamb is very tender. If you prefer, you can also cook it all the way on the stovetop, bringing the stew to a boil and then lowering the temperature, letting it very gently simmering for 2 hours. * Note: A Syrah/Shiraz, a Rioja or even a Cabernet Sauvignon will work well. No need to pay big bucks for it, but remember if it’s good enough to drink, it’s good enough to cook with. 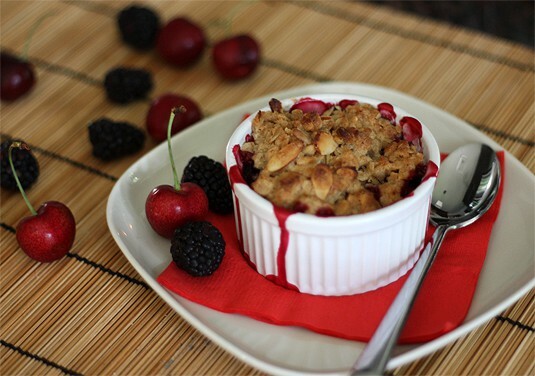 This was initially a Blackberry Crisp but I couldn’t resist adding cherries, which are very much in season right now. I simply replaced a third of the blackberries with cherries, but you could also split half and half with raspberries or even pears. The good thing with crisps is that they’re a breeze to make and you pretty much can’t go wrong with your flavor combinations! You can make this crisp in a single baking dish or you can go fancy like I did and make individual portions. I had enough fruits for 7 individual ramekins and there was plenty of topping – so much so that even if I was generous with it, I got a half cup left that I froze for a later use. Slide the tip of your knife under the pit and push it out. Preheat the oven to 400°F. Melt the butter by microwaving it for a few seconds. 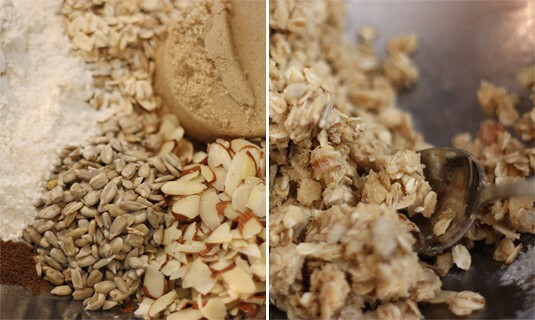 Combine the oats, flour, brown sugar, almonds, sunflower kernels and cinnamon or allspices in a bowl. Stir the melted butter into the crisp topping, making sure everything’s mixed together enough to become a crumbly mixture. 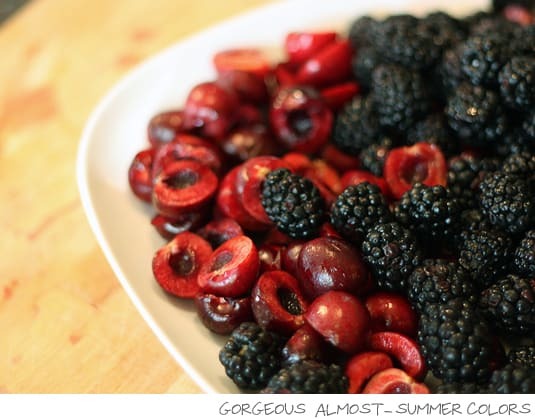 Put the blackberries and cherries into a big mixing bowl, sprinkle over the sugar, vanilla and cornstarch, and stir to mix and coat the fruits. 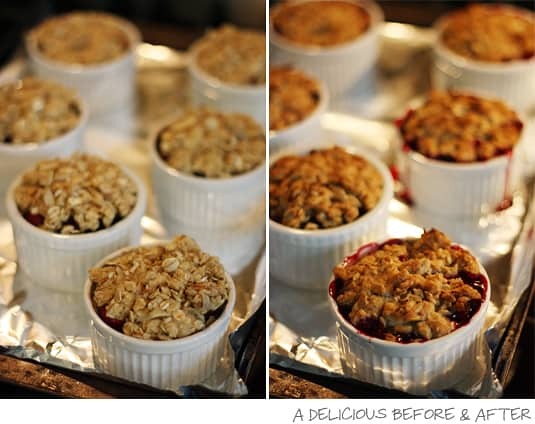 Separate the fruit mixture into 7 individual ramekins or pour in a single baking dish. Spoon the crisp topping on top of the ramekins or the baking dish. Bake the individual ramekins for about 20 minutes and the single baking dish for 25-30 minutes. It’s ready when the topping is golden and the fruit filling bubbling. 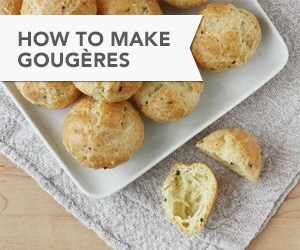 It’s delicious to be eaten on its own but wonderful with ice cream or heavy cream.